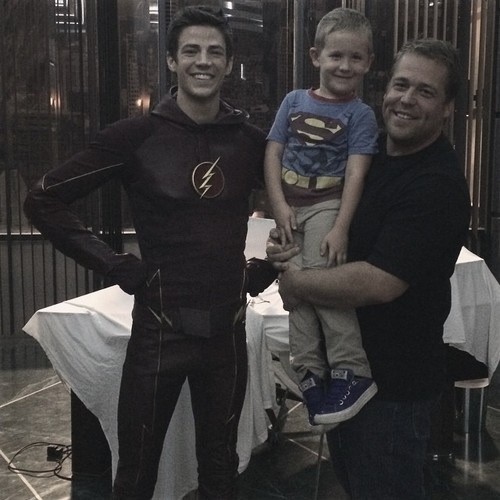 Behind the scenes. . Wallpaper and background images in the The Flash (CW) club tagged: photo. This The Flash (CW) photo might contain fatigues, fatigue, béret vert, forces spéciales, soldat d'élite, soldat d’élite, and tenue de combat.